Take a spin and have a chat with this new product! Simply roll the ball on the floor or table to hear the message you have recorded on the side that finishes uppermost messages. Chatter-Block is a great product for creating stories, sequencing, sound effects and even as a talking dice. There are six recordable sides, each with a clear pocket to add your own pictures or words. Simply record a different message into each side and then activate your recording by either pressing the play button on the relevant side or rolling the ball. Ideal for use with special needs children. 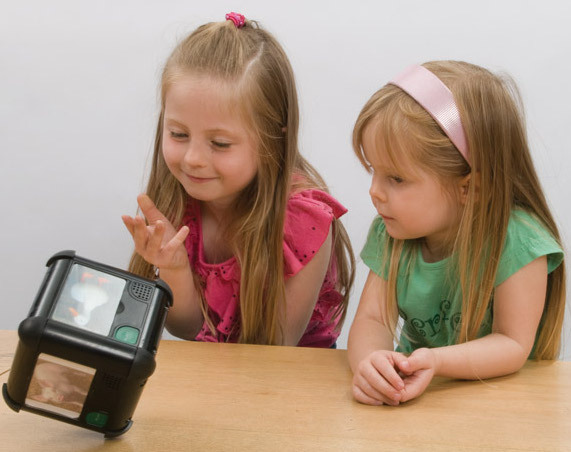 Each side can record up to 10 seconds, size of each face is 15 x 15 cm, requires 3 x AA batteries not included.